Born in 1973, Campbell played a year up for the '72 Flames. Campbell was drafted 28th overall in the 1991 NHL Entry Draft by the Montreal Canadians out of the Quebec Major Junior Hockey League. 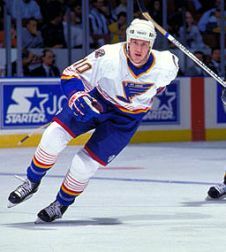 After a few seasons in the AHL, he played for the St. Louis Blues in the '96-'97 season, and made the NHL All Rookie Team. Campbell's career totaled 285 NHL games, posting a line of 61-75-136, and playing for 6 different teams. Campbell was also a member of Team USA during the 1992 & 1993 World Junior Championships, the 1994 Winter Olympics, and the 2001 International Hockey Federation Men's World Championship. Born in Worcester, MA, Jim was one of the first Minuteman Flames to break into the NHL. Recently retired, Jim "Soup" Campbell continues to coach hockey in the St. Louis area. John Lilley is the second member of the '72 Flames team to play in the NHL. 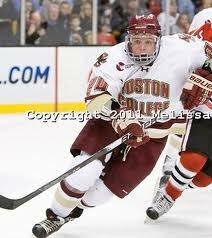 Born in Wakefield, MA, he broke the scoring record at Cushing Academy, before playing at Boston University. 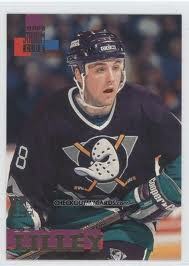 He was drafted out of High School 140th overall in the 1990 NHL Entry Draft by the Winnipeg Jets. Lilley scored 11 points in 23 games over his three-season NHL career. 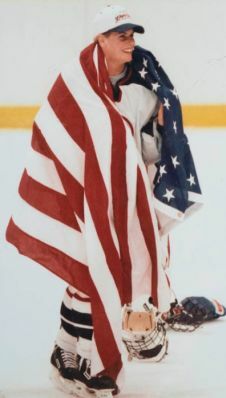 In addition to Lilley's NHL career, he also played for Team USA in the 1994 Winter Olympics, and in the 1994 International Hockey Federation Men's World Championships. Lilley currently works as a scout in the Toronto Maple Leafs organization. Mike Grier played with the '75 Flames when he grew up in Holliston, MA. After a standout career at St. Sebastian's School in Needham, MA, where he was drafted 219th in the 1993 NHL Entry Draft by the St. Louis Blues, Grier played at Boston University, where he was on the 1994-95 National Championship Team, and was an All-American. 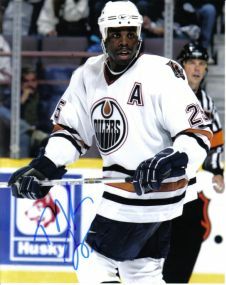 Grier went on to play in 1,060 total NHL games, scoring a line of 162-221-383, for the Edmonton Oilers, Washington Capitals, Buffalo Sabres, and San Jose Sharks. Always noted for his grit and defensive abilities, Grier was an Assistant Captain for the Oilers, Sabres, and Sharks. In addition to his illustrious NHL career, Grier represented Team USA at the 1995 World Junior Championships, and the 2004 World Championships, where the US won the Bronze Medal. 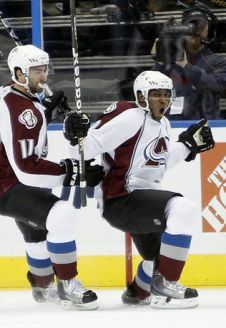 Recently retired, Grier is the first US-born African-American player in the NHL. Playing before the days of the Lady Flames, Tara Mounsey was a stand-out player for the '78 Flames. In fact, when she was 13, she was one of the best players (boys or girls) in all of New England, in an age-group which featured Hobey Baker winner Mike Mottau and ex-Boston Bruin Bobby Allen. In high school, she led Concord High School (NH) to the State Championship, and became the first female to win the New Hampshire Player of the Year Award. Mounsey was on the Gold-Medal 1998 Winter Olympic US Women's Team, the only US Women's team to win an Olympic Gold Medal. She was also on the 2002 US Women's Olympic Team that captured a Silver Medal. After playing at Brown University, Mounsey studied medicine at Boston College and now works as a Physician's Assistant in Boston, MA. Born in Holliston, MA, Mauldin was an explosive player for a very talented '82 Flames team. After graduating from the Flames program, Mauldin went on to play for the EJHL juggernaut Junior Bruins, where he was league MVP in 2000. Mauldin played his collegiate hockey for three seasons at UMass Amherst, where he led the team to the Hockey-East Championship Game in 2003, and was named to the Hockey East All-Tournament Team. Mauldin was drafted 199th overall by the Columbus Blue Jackets in the 2002 NHL Entry Draft. He's played 36 NHL games between the Blue Jackets, Islanders and Avalanche organizations, posting a line of 5-5-10. Mauldin is currently playing for HC Fribourg-Gotteron in the Swiss Nationalliga A, and runs skills camps out of the New England Sports Center in the summer. Jordan was a star for the heralded '86 Flames which saw over fifteen players play in college or professionally. After playing with the Flames, Jordan was drafted into the Quebec Major Junior Hockey League (QMJHL) by the Quebec Remparts. Averaging a point per game, Jordan helped lead the Remparts to the 2006 Memorial Cup, a playoff comprised of the best teams from each Major Junior League in Canada. 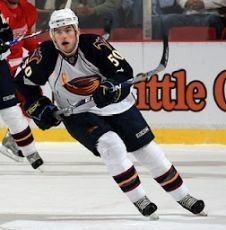 Jordan was drafted 116th overall in the 2005 NHL Entry Draft by the Atlanta Thrashers, and scored a goal and an assist in his four NHL games. In the 2007-08 AHL season, Jordan helped lead the Chicago Wolves (AHL) to the Calder Cup, winning the team's 2008 Man of the Year and 2008 Dan Snyder awards along the way. Jordan is currently playing in Denmark for EfB Esbjerg of the GET-ligaen. Butler was a standout for the legendary '86 Flames, which saw over 14 players play Division-I College Hockey, or Major Juniors in Canada. This fact is made more impressive because Bobby was an '87 birth-year, playing a level up. After his time with the Flames, Bobby led Marlborough High School to the Massachusetts State Championship his senior year, and also spent time with the Junior Bruins EJHL team. After a four-year career at UNH, where he led the Wildcats in points his senior year, was top-5 in College Hockey in goals (29), and a runner up for the Hobey Baker trophy, the un-drafted Butler signed with the Ottawa Senators for the 2009-2010 season. Butler was on the Calder Cup (AHL) winning Binghampton Senators in the 2010-2011 season, and has posted a 16-21-37 line in his 94 NHL Games. 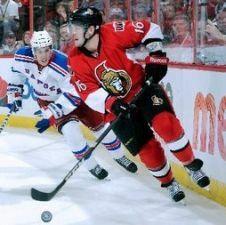 Currently a member of the New Jersey Devils organization, Butler is positioned for more success as his career continues. Bill Arnold played for the '92 Minuteman Flames team, a team famous for not losing a single game until their Squirt Major year. Arnold was a fabulous two-way center as a Flame, and was the team's leading scorer. He played his high school hockey at Nobles & Greenough until leaving his senior year for the National Development Program in Ann Arbor, MI. Arnold played for the 2011 World Junior Championship team in Alberta, and was named one of Team USA's top-three players. Arnold cemented himself in Boston sports history with the overtime game-winning goal for Boston College in the Beanpot Championship game against Boston University in 2012. Arnold went on to win the National Championship in 2012 with Boston College. He was drafted 108th overall by the Calgary Flames in the 2010 NHL Entry Draft.